Cover up blemishes in your Slatwall with this Dark Walnut Vinyl Slatwall Insert. This insert is designed to add a finishing touch to your black slatwall display. 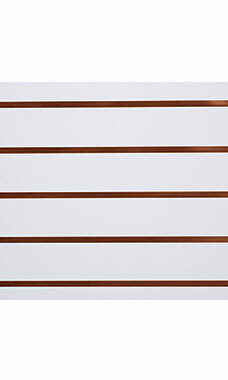 These Dark Walnut Vinyl Inserts simply slide into grooves of slatwall to hide exposed particle board and any mounting screws, which will make your Slatwall look neat and professional. 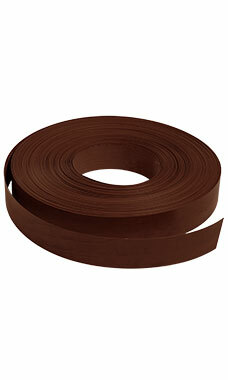 Just one roll of insert strips is enough to complete one 4' x 8' Slatwall panel. It's easy to enhance any wall display presentation using our vinyl slatwall inserts! Order today.